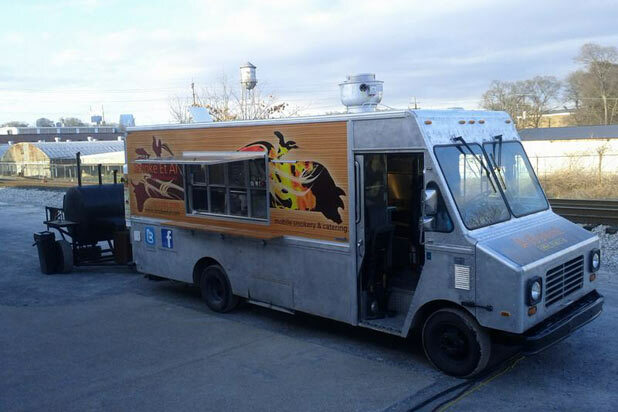 Operating a food truck isn't easy, but it can also be extremely rewarding. There’s no denying it: we are living in a golden age of food trucks. Once synonymous with sketchy, generic foods like hot dogs and chicken kebabs, over the past few years food trucks have grown evermore varied and exciting, and for the third year in a row, we’re taking a deep dive into the very best of America’s food truck scene. From grilled cheese and pizza to tacos, lobster rolls, and some of the most creative fusion dishes on the planet, these are the 101 best food trucks in America. Operating a food truck isn’t easy. While there’s certainly lower overhead than with a traditional brick-and-mortar establishment, operators are forced to brave (mostly) outdated municipal restrictions, random (or worse, targeted) police ticketing, and the misdirected ire of insecure brick-and-mortar restaurants who often stir up trouble. Food trucks are far from the latest food trend, but when it comes to great food made quickly (and by the "little guy"), they’re one of the best things to happen to the American culinary scene. In order to compile our ranking of America’s 101 best food trucks, we started with the more than 450 food trucks from more than 40 cities that were considered for last year’s ranking and added 50 to the list, mostly new trucks and ones suggested by readers. We factored Twitter followers, Yelp reviews, and Yelp stars into a weighted algorithm, rounded out by an originality score that took into account menu innovation, overall concept, and geography. A few notes: Only trucks were considered. If it was a trailer or a cart, if it wasn’t on four wheels and couldn’t move on its own power from parking ticket to parking spot, it wasn’t considered. Some cities (especially much-beloved Portland, Ore.) pained us: many of their food "trucks" didn’t make the cut because they weren’t well, trucks. Also, this is a list of food trucks. Trucks that just make cupcakes or coffee are cupcake or coffee trucks, not food trucks. Dessert trucks were also not considered. In the end, Los Angeles (16 trucks), San Francisco (12 trucks), and New York (9 trucks) led the way, but Chicago (6 trucks),the Twin Cities (5 trucks), Miami (5 trucks), Nashville (4 trucks), Seattle (4 trucks), and Washington, D.C. (4 trucks) all made a nice showing. It’s clear that not only is the national food truck scene still booming, but more and more truck operators are pushing the boundaries of what can be served from a truck, and more big names, like Andrew Zimmern and José Andrés, are throwing their hats into the food truck ring as well. There is, however, one additional fact that we couldn’t ignore, which is certainly worthy of discussion: Several of last year’s highest-ranking trucks, like D.C.’s Fojol Bros., San Francisco’s Nom Nom Truck and Spencer on the Go, Los Angeles’ Ludo Truck, and New York’s Big Gay Ice Cream Truck, have all ceased operation. For all intents and purposes these were highly successful trucks, but it seems as if for many food truck operators, running a food truck is a means to an end, not an end in itself. The Fojol Bros. are working on a new line of products, Spencer on the Go’s owners decided to focus full-time on their restaurant, The Ludo Truck’s Ludo Lefebvre has become one of Los Angeles’ most in-demand chefs, and Big Gay Ice Cream now operates two brick-and-mortar locations, with two more in the works. The takeaway here isn’t that the food truck trend is dying down, it’s that running a food truck can be a stepping stone to bigger and (some say) better things. So from a ramen truck in Oklahoma City to a fry bread truck in Phoenix, from a pierogi truck in Chicago to a lobster truck in Los Angeles, read on for our list of the 101 Best Food Trucks in America for 2014. Chef and owner Shane Autrey calls his truck, Smoke Et Al — which serves a variety of barbecue — a “boutique smoker.” Using real wood smoke and other techniques to flavor his barbecue fare, Autrey serves dishes such as “Fiddlers Biscuits” (shredded smoked chicken on sour cream sage baked biscuits with wild flower honey and green onions) and a third of a rack baby back ribs, dry-rubbed and hickory-smoked. Keep your eye on this chef, as Autrey is beginning to becoming a household name; he recently took first place in the Chow Masters challenge on the Travel Channel. When founder Matt Kornmeyer was fired from his job in May 2010, he described how "a strange smile came over [his] face." 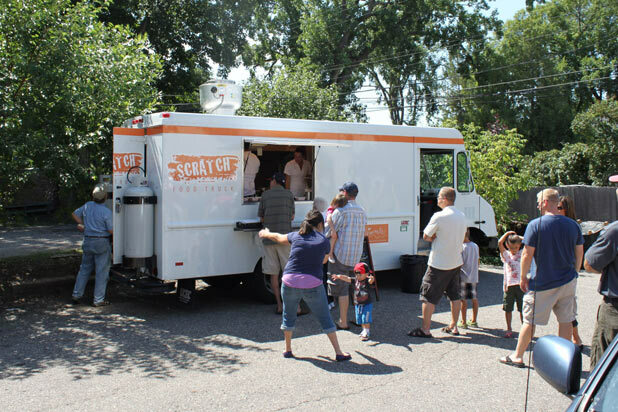 He saw what most would consider a step back as an opportunity — he could now open the food truck he had been inspired to start since a trip to Portland, Ore. Kornmeyer always knew he wanted to open a restaurant, and from this dream Scratch Truck was born. The menu changes regularly, but continuously serves indulgent comfort foods with interesting flavors. The namesake feature is the Scratch burger, a 1/3-pound custom ground burger with bacon marmalade, gorgonzola cheese, and arugula served on roll with fries. The menu also features a polenta and black bean burger and a Tuscan chicken sandwich. His signature Bacon Marm is so delicious it is now for sale at select retailers in Indianapolis. Click here for 99 more of the country's best food trucks. Head to the next page for the full list. Did we miss any? Tell us in the comments! Dan Myers is the Eat/Dine Editor at The Daily Meal. Follow him on Twitter @sirmyers. Additional reporting by Arthur Bovino and Kate Kolenda.